There are few things that ruin a camping trip like a deflated or uncomfortable air mattress. Fortunately, this scenario is now almost completely avoidable through access to reliable brands and improved in technology in materials and construction. 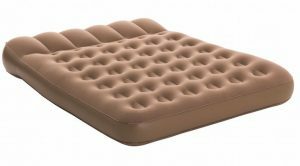 Below we review six of the best air mattresses in Australia as we strive to find the best camping mattress and conclude the Coleman All Terrain Double High mattress is the best option currently on the market. All products are assessed on performance in a camping environment but also provide great options for use as a spare bed at home. Click through the links to product pages for more details and mattress size selection. 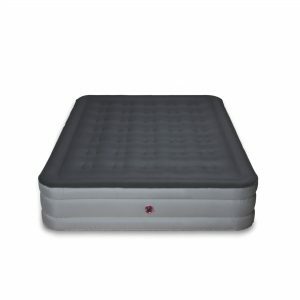 Perfect for the Australian outdoors, the All-Terrain Double High mattress offers all the benefits of the standard Coleman Double-High Quickbed, but with the recently added feature of Coleman’s trademarked PunctureGuard material, providing 47% improved protection against punctures while also improving resistance against stretch and reducing weight. Stable, comfortable, and now with improved durability and reliability, this mattress is perfect for the Australian camping adventure where you can’t afford for your mattress to go flat. 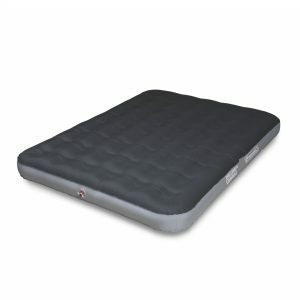 The double height provides an extremely comfortable nights sleep meaning this is also a great option for home use. Use the optional 4d Quickpump for speedy inflation and deflation (also compatible with Coleman hand and foot pumps). Dimensions are 0.4 (L) x 0.3 (W) x 0.2 (H). It's very hard to look past the All-Terrain Double High mattress for value and quality and we're happy to award it our top spot as the best camping mattress in Australia. If you like the sound of this mattress but are not so keen on the double height, see our #4 pick, the Coleman All Terrain mattress in single height. An airbed that is designed to provide luxury for the outdoors, the AeroBed Active is another super popular choice for Australian campers. 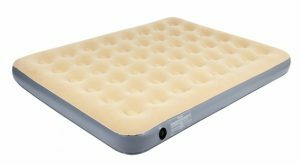 Similarly to the Coleman mattress above, it has a comfortable velour flocked surface, but the AeroBed is a more traditional air mattress height so may be more suitable for those in tents with less headroom. 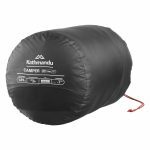 Fitted with heavy duty puncture resistant vinyl and electronically welded seams, the Active is up there with the best in terms of quality and there should seldom be the need for re-inflation. This mattress comes with a rechargeable NiCad/DC Dual Power Pump for portable use, meaning you can charge from wall sockets or straight from your car - super handy for camping holidays. It also comes with a handy portable carry bag. A great choice trusted by many Australian families for a comfortable camping experience. Tried and tested, the Coleman Quickbed is an Australian family favourite. Whether for outback touring, summer holiday, or the spare bedroom at home, the Coleman Quickbed ticks all the boxes. The double height improves stability and also makes getting in and out a lot easier. Durable, comfortable and affordable, it’s hard to find fault with this amazing product - a must have for Australian campers who want to spend time outdoors but aren’t willing to sacrifice comfort. The outer material is heavy-duty PVC while the top is coated in Rayon for improved comfort. Inflating and deflating are a breeze with Coleman's 240V built-in electric pump. If your tent won’t quite fit one of the double height options, or you want to avoid the additional size and weight, the single height version of our top pick is your best bet. Coleman’s trademarked PunctureGuard material significantly reduced the risk of leaks and tears and also improves resistance against stretch and reduces weight. A great option for the family camping trip or for use at home. 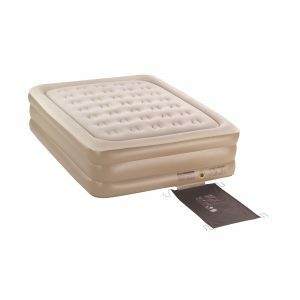 Another super popular mattress with Australian campers, the OZTrail Velour mattress provides a comfortable and good quality budget option. 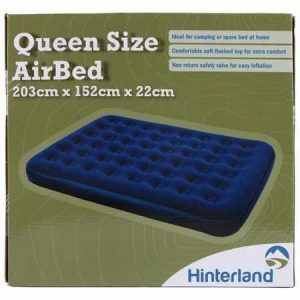 Probably the best super-budget option currently available, the Hinterland air beds offer reliability and comfort at a super competitive price point. This mattress should last you many years, however, they do slowly leak if kept inflated for multiple days, so keep your pump on hand!